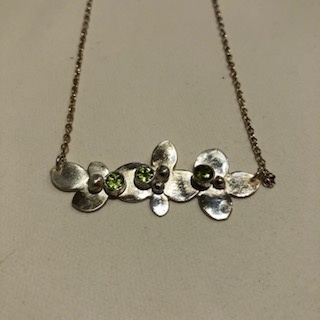 Peridot stones set in a sterling silver flower design on a round link extension chain. 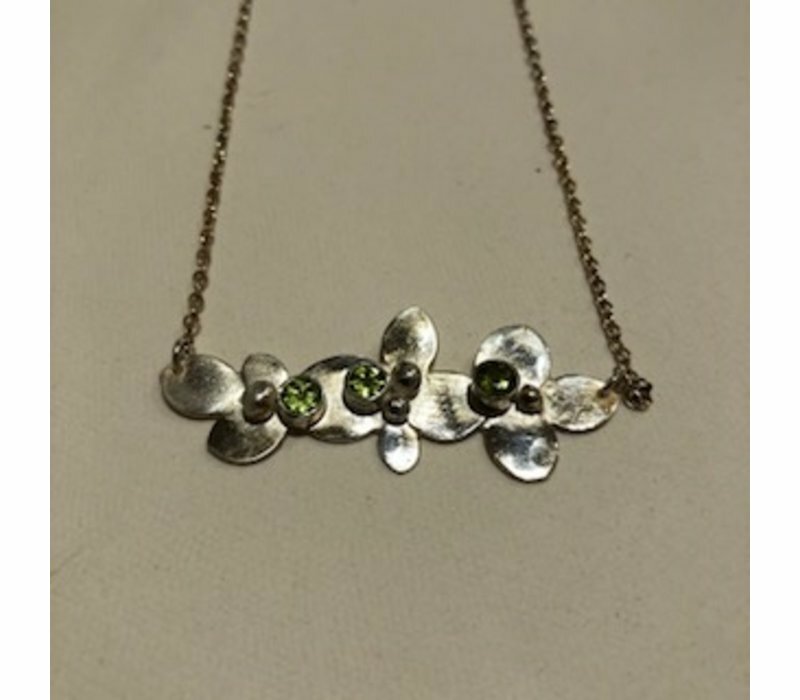 Pendant size is approximately 2 inches long and .75 inches wide. The chain length is approximately 17 inches.